LazerArc's low profile Tool Tray Shuttle is used to precisely shift the tooling part linearly at the customer specified distances with a standard accuracy - DIN 6 on gear rack +/- 0.0003"/ft. It has infinitely programmable position through the use of an AC motor with encoder or servo motor control, eliminating the use of typical shot pins required due to the gearing position and low backlash gear reducer. The robust tubular steel construction is designed for easy maintenance. The lift and shift combines the standard tool tray transfer linear motion with a mechanical lift and manufactured with tubular steel to last in hostile environments and lift large loads. 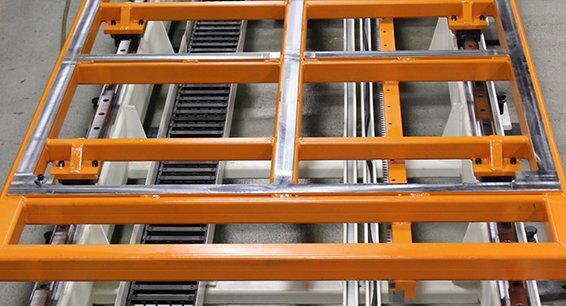 The mechanical lift option initiates when the lower tool tray carriage runs an upper carriage against a fixed linear guideway. 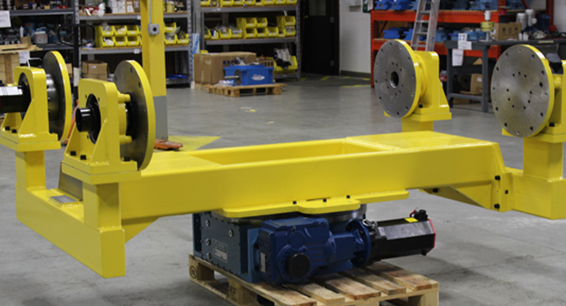 The mechanical lift occurs when a lower carriage runs an upper carriage against a fixed linear guideway. As the lower carriages moves horizontally, the upper carriages moves vertically. At both ends of the unit, there is a linear guide, where one side provides the lift motion, and the other side provides a lower motion. 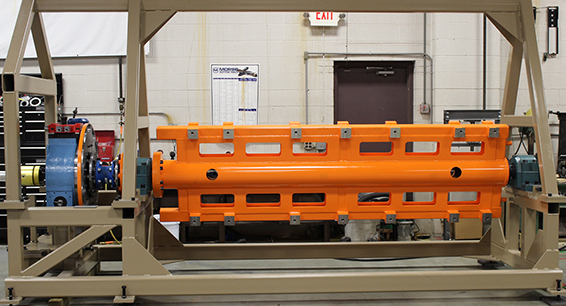 This solution eliminates the need for any other electromechnical or pneumatic devices to do the vertical lift separate from the horizontal transfer. This provides a fixed box motion from one single gearmotor. The lift and shift unit was designed and concepted by Design Eng, South African integrator of machinery. Lazer Arc finalized and detailed the design to make it buildable and functional. 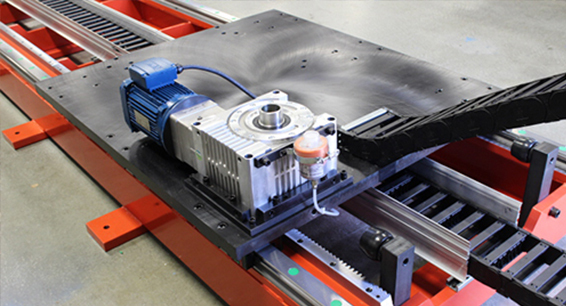 To learn more about linear transfer robotic systems like lift and shift, visit our guide here.